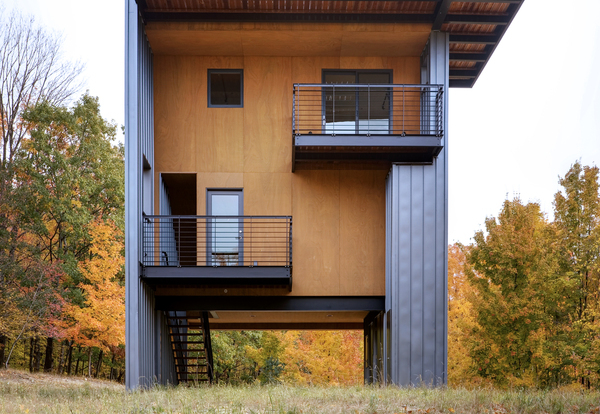 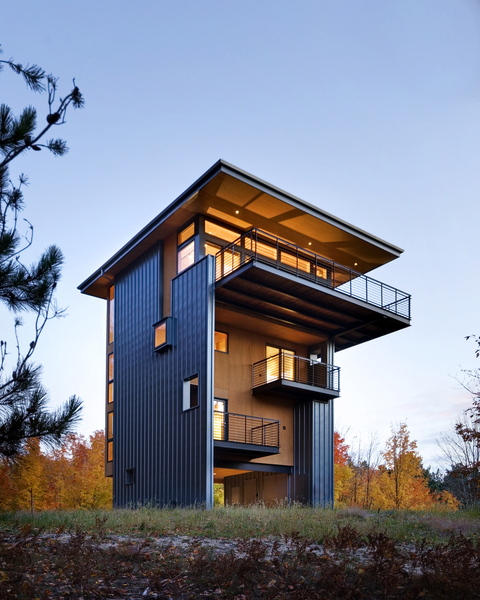 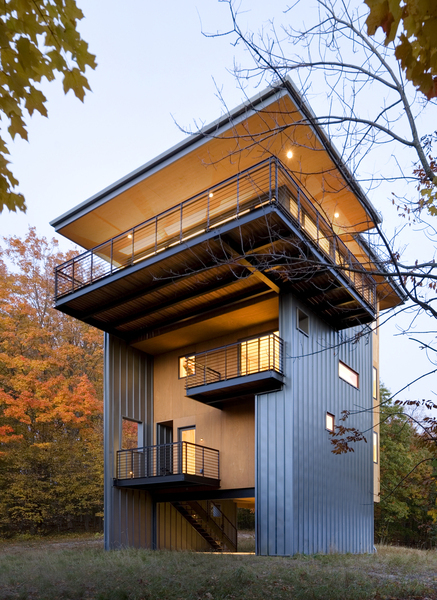 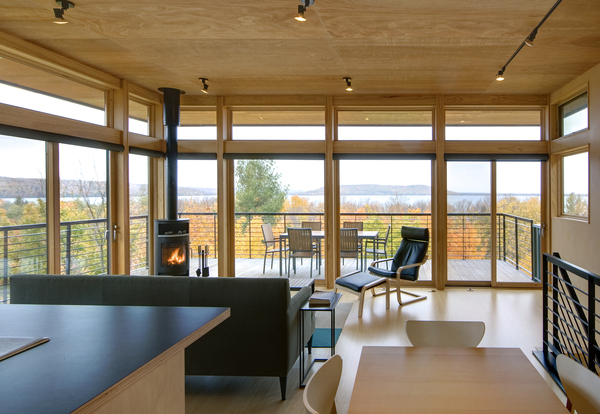 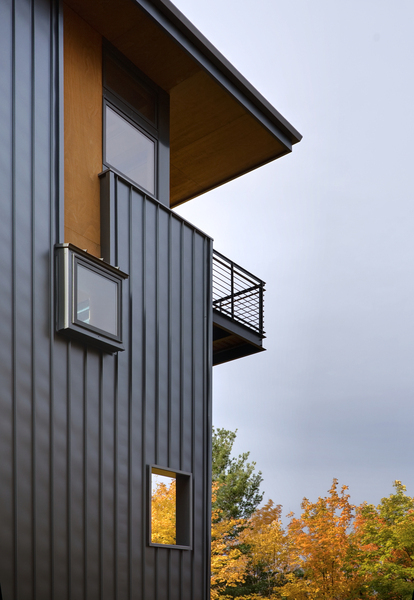 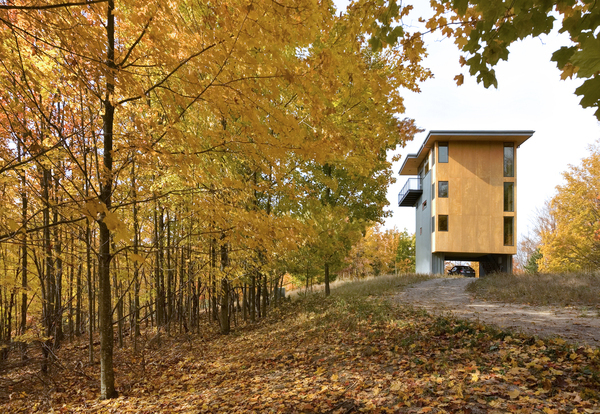 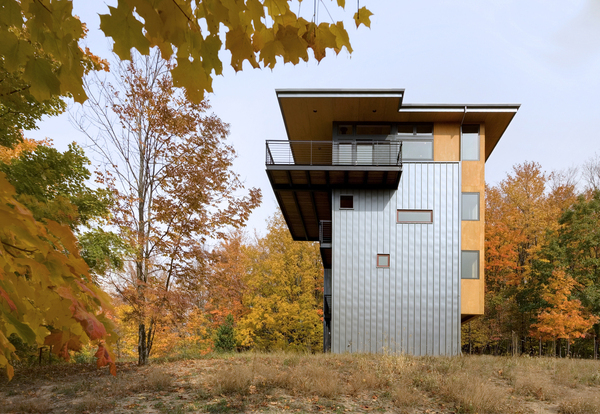 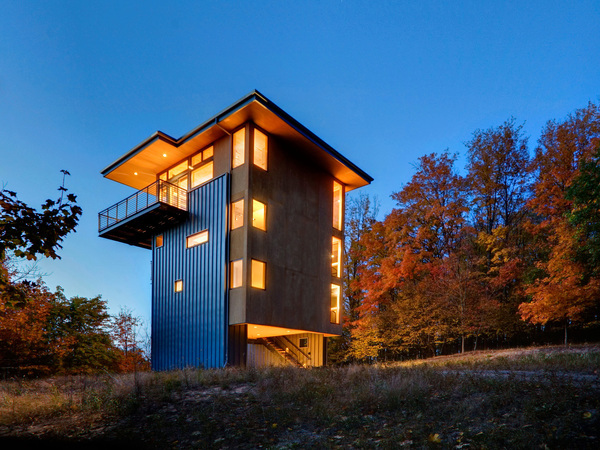 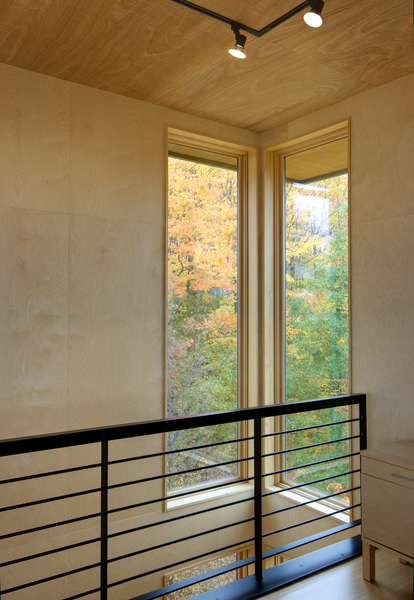 High on a wooded hilltop above a lake in Michigan, the Tower House is the result of an inspiring collaboration between our design team, clients with a passion for architecture as well as their site, and a skilled local contractor. 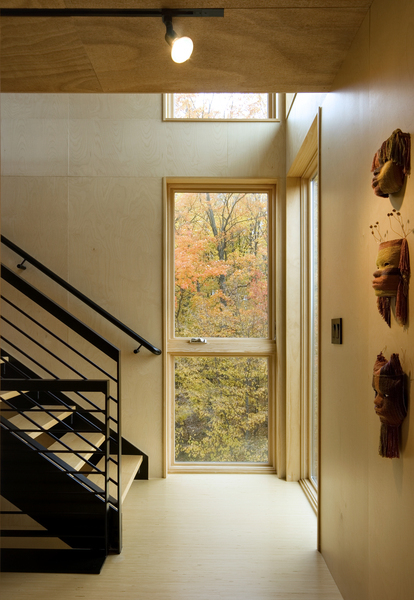 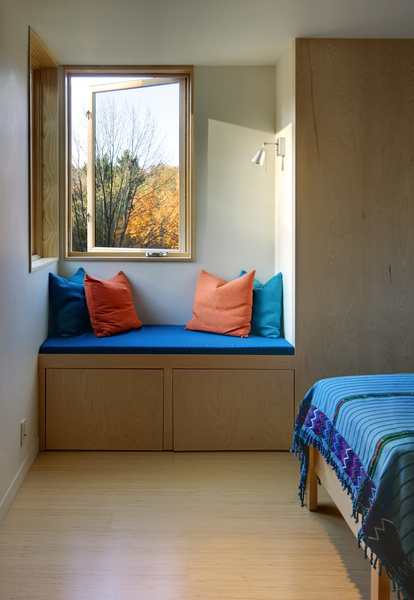 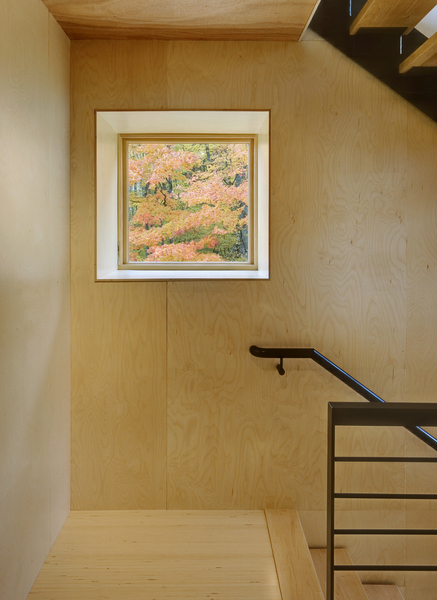 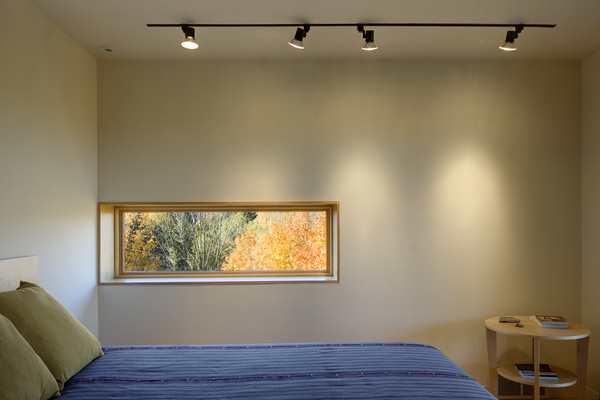 Directed to create "a sustainable retreat that reflects the timeless beauty and simple comforts of the area," we responded by raising the primary living space above the dense surrounding woods in order to gain light, air and views of Glen Lake and Lake Michigan beyond. 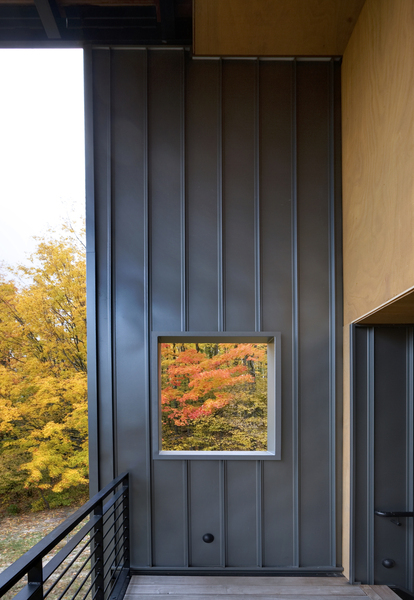 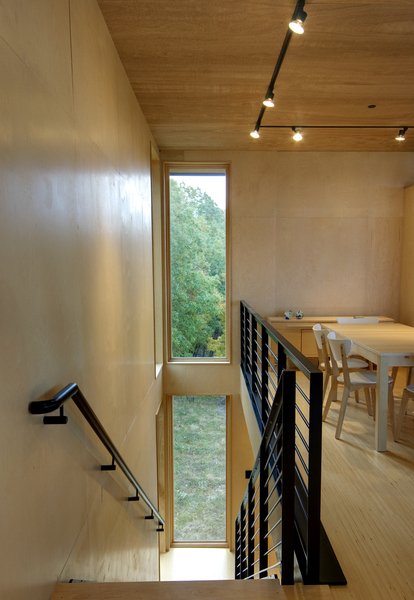 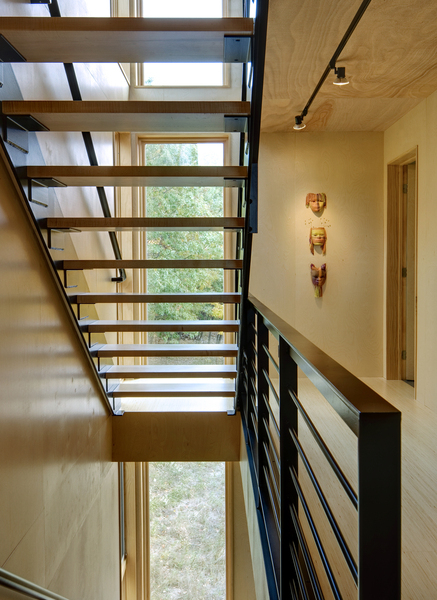 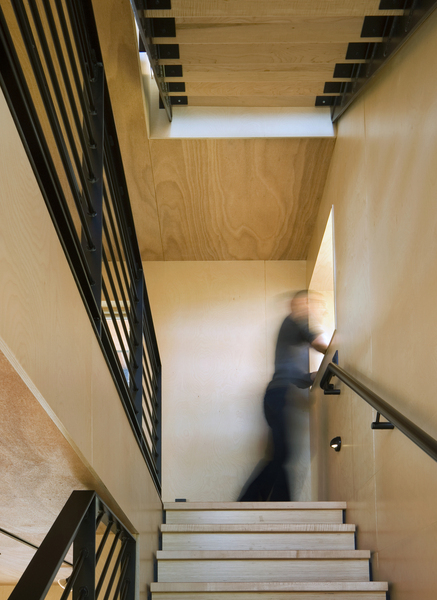 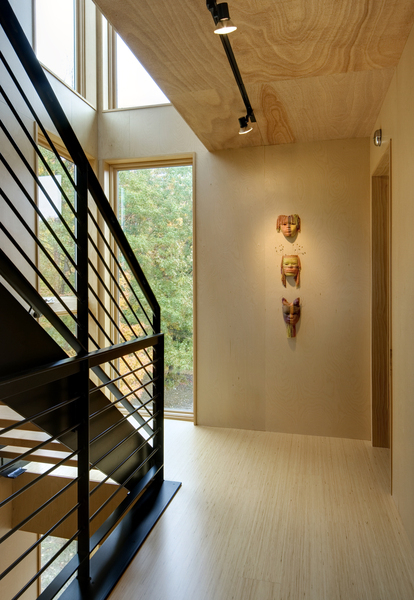 Two fin-like, metal-clad walls rise from the crown of the hill to support a three-story plywood box suspended a full story above grade. 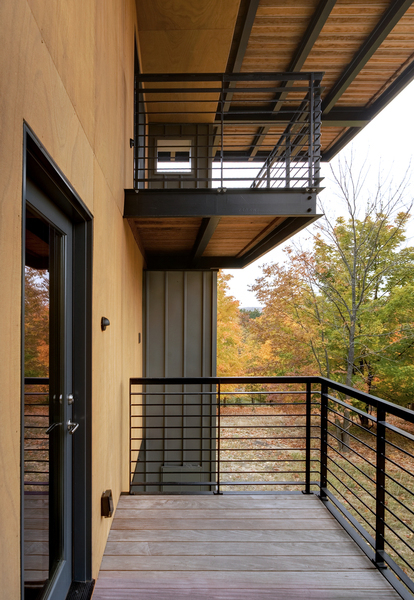 As intricately detailed steel stairs climb the tower, they move from exterior to interior and from more enclosed to more open spaces, culminating in a breathtaking, glass-wrapped kitchen/living/dining space at the fourth level. 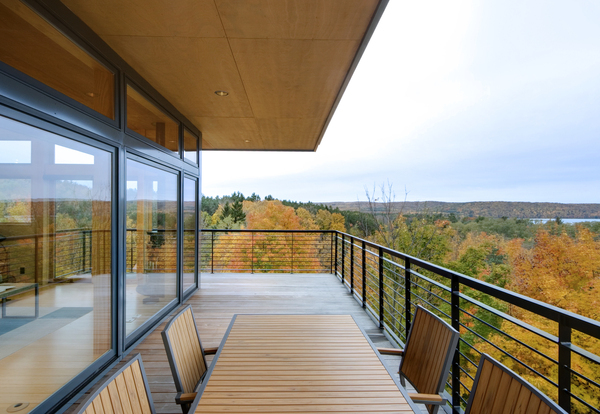 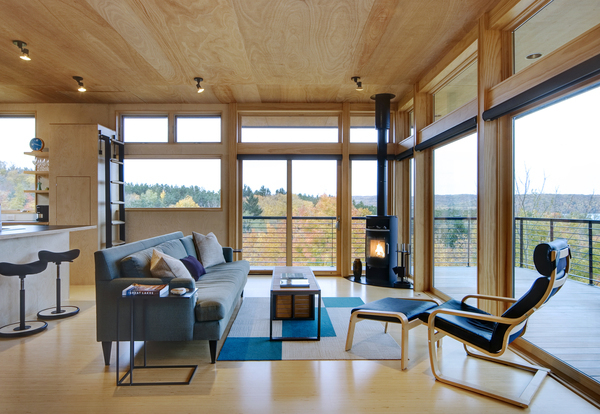 Here, thirty feet above the ground, the clients enjoy views of the landscape they love, from either the birch-lined interior or expansive cantilevered decks. 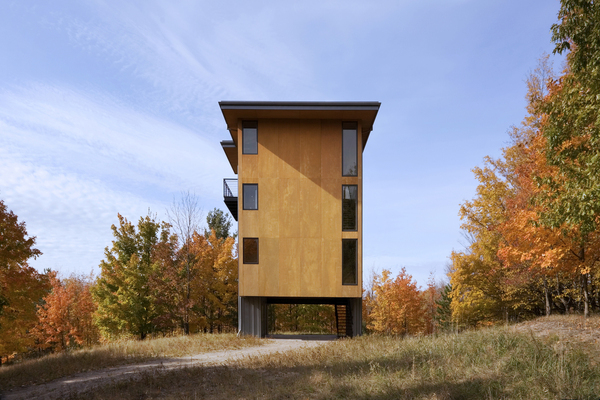 Financial Times of London - How to Spend It, November 2014, "Tower Houses"